There are 199 items available. Please enter a number less than or equal to 199. I used it one time and it broke in less than an hour from the time I set it up. The metal used is very thin and it couldn't handle a light breeze. This wasn't a windy day and every other canopy being used in the area was still up and fine. 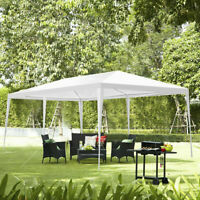 A good quality canopy at a low price. 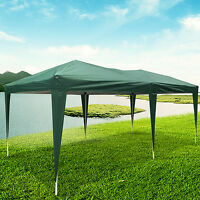 This is a fair weather canopy for light weather. Rain and light wind seem fine, but tie it down for anything more than that. We are using it for art shows, and would not attend an event with bad weather expected, so no worries. 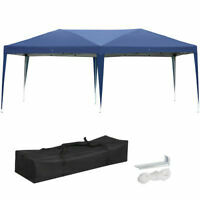 we did have a couple of spots on the canopy that look a little "thin" but it does not leak. One person can set it up with some serious effort, but two is better. I have used this item for the first time. The materiel used for folding doesn't seem very strong but lets see how long it last. Make sure to be careful while folding and unfolding. you will be fine. Love the added privacy sides. Broke in several places during 1st use. No wind or other bad conditions. Poles snapped. Stitches came apart. Zipper even broke. Do NOT waste your money!